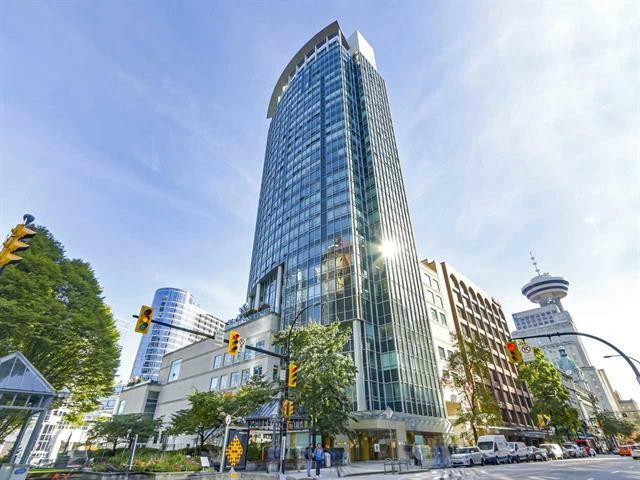 Make your home at the iconic Terminal City Club Tower in Vancouver's financial district, just steps away from the seawall, Convention Centre, the best shopping and restaurants in town. Only 2 blocks to the Waterfront transit station. This corner suite offers city views along with plenty of natural light, a classic spacious floor plan, and 24 hour security. Fantastic executive home or pied-a-terre.